Are you ready to protect your Roman empire but don't have the proper equipment to do so? 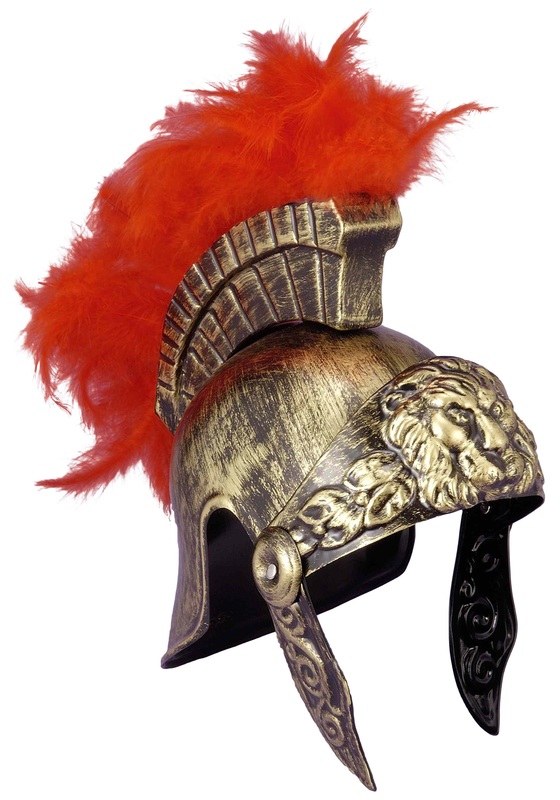 Fear no more, you'll be a true Spartan warrior and be ready for battle in no time with our authentic Roman helmet. Looking as if it were a true artifact from the empire our Roman helmet is glazed in gold and bronze paint and features an authentic red feathered crest. Need to assemble in a hurry, not a problem with our movable visor and cheek guards. We do have to warn you though, as realistic as our Roman helmet looks it is made of plastic so don't be going and getting yourself involved in any real battles..
You may not have Gerard Butler's mighty abs, but you can have his costume. And if you're lucky his face! If you've got all three well then hit us up! Even if you don't at least you'll still look cool and just as bad, ready to take back your empire.